"The goal of the Citizens for the Carpinteria Bluffs is to preserve forever the Carpinteria Bluffs as open space." 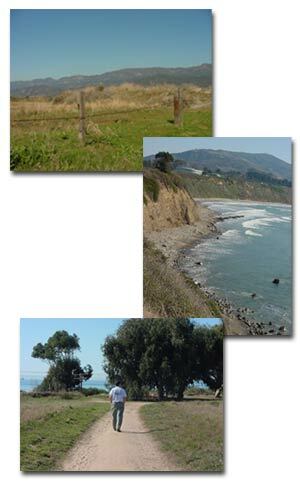 The Citizens for the Carpinteria Bluffs was formed in 1996 after two nights of public hearings before the City Council, when hundreds of residents voiced opposition to yet another development proposal for the Bluffs. However, the effort to preserve the Bluffs goes back over 30 years when residents blocked a proposed oil refinery. In the short time that they have been around, they have managed to acquire 52 acres of the Carpinteria Bluffs for a price of $3.95 million. In addition, they have raised $500,000 for the Carpinteria Bluffs Endowment Fund for maintenance and possibly environmental enhancement. In 2000, they transferred the property as a gift to the City of Carpinteria. Vast majority of the land will be preserved, with a small portion being used for playing fields.